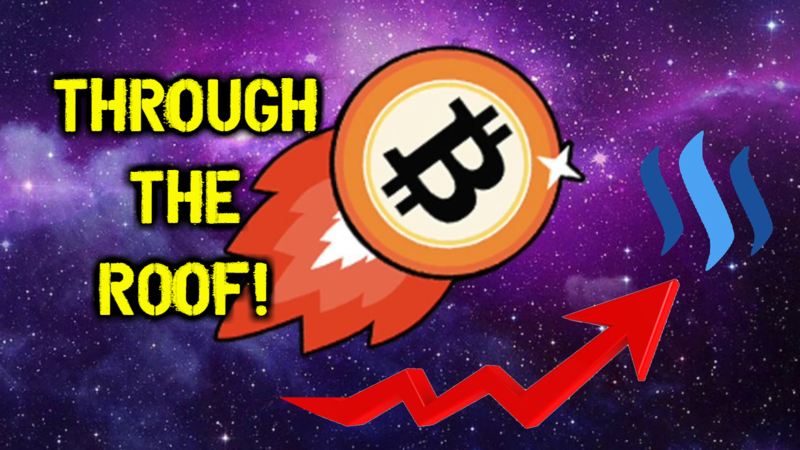 Bitcoin CONTINUES To Break Records! - Through The Roof Past $3650 USD! So it's hard not to be incredibly excited this past 6 days especially as Bitcoin breaks through the roof and continues to hit all time highs! 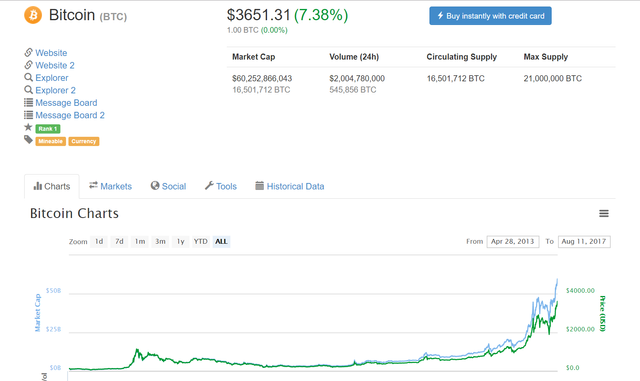 About an hour ago it peaked at $3651 USD! Only less that 24 hours ago, it broke $3500 USD! The best part is all the Bitcoin haters out there who have been claiming it's in a bubble since $20 and rejoiced at the recent (much needed) correction as newbies panicked and sold off. Well get used to it folks! This is the nature of Bitcoin! It will continue to rally and it'll continue to correct, flooring a bit higher each time and rallying far higher and breaking records each time. Thank you 21 million scarcity! As I've mentioned before in these pieces, based on the 7 years daily average rate of growth, Bitcoin should reach $250,000 by 2020, and that's only a speculative start! It could climb far more! The future is wide open! Just don't panic so much when you see a correction! HODL or try to take profits if you're brave and smart enough! But most of all, HODLing is the best thing you can possibly do for the time being. Bitcoin is... believe it or not.... in its infancy still! Thanks for reading folks! 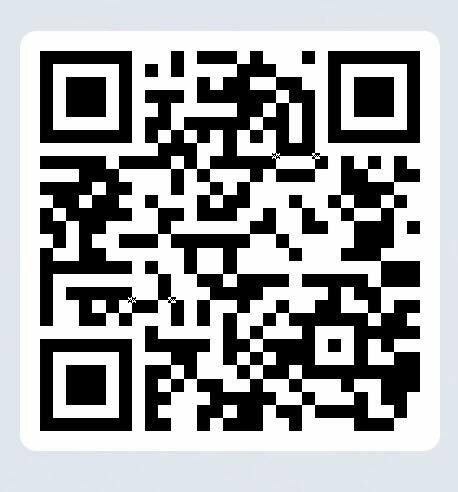 Tell my below where you think Bitcoin is going NEXT! We are so getting to $5000 in a few months. Probably some major pullback at 3800-4000 all the way down to 3K or something, but after that we should be cleared all the way up to the next hardfork. Which, if it happens, will only give us more free crypto which we will then use to buy more bitcoin !! Yes, well said. Its scarcity is its ultimate draw card. Designed to be like gold - it can't be printed to infinity. And 21m is not a lot compared to world population! This post has been ranked within the top 50 most undervalued posts in the first half of Aug 12. We estimate that this post is undervalued by $14.63 as compared to a scenario in which every voter had an equal say. It seems like it's always on friday's that bitcoin skyrockets. My guess is if we see bitcoin 4000, it will be next friday. 18 000 at new year's day.